This building was erected in the early 1950s and attached to the Nicosia renaissance fortifications. Like most of the architecture in the UN Buffer Zone it was suffering from daily disintegration, until having the good fortune to be included in the project implemented by the inter-communal organisation Association of Historical Dialogue and Research. 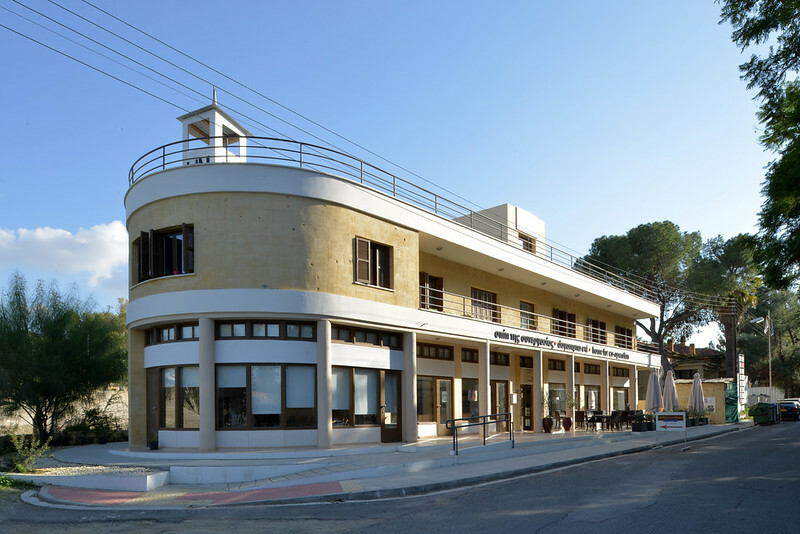 Now functioning as an educational centre, and called Home for Cooperation, the building has become a unique peace project in Cyprus, because, whereas other buildings in the area still by their condition and neglect portray conflict and division, this one now clearly stands for cooperation and unity. Its new purpose is the launching of projects involving education and training, the advancement of research and dialogue and, its promoters say, ‘the empowerment of our competence as critical thinkers and citizens of Cyprus, Europe and the world’. Accessible from both sides of the divide without having to cross checkpoints, it provides a shared space that can be used by all. It thus symbolizes the philosophy of the Cypriot communities working together, in collaboration with the international community – ideals of course shared by Europa Nostra.